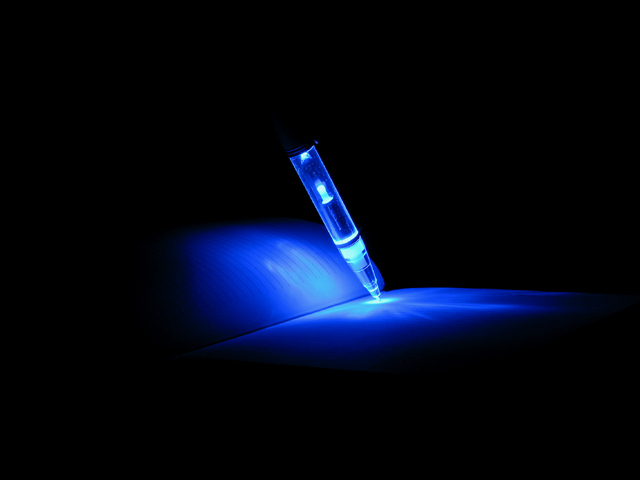 Rushed to come up with a shot and was given this light up pen from a Sring Air Rep.
Jubei, What an amazing photograph. You did a wonderful job! Congratulations! I feel really good about this, I didn't get a single 1 :) Thanks for all those that commented. wow. I love the neg. space, the blue light, only seeing part of the book. very well done. 10. I realize this is a PEN, but it looks like a hypodermic needle, which, with your title, might confuse some folks. However, I like this shot a lot! i like the concept and your idea! very nice picture, great idea and the title fits perfect! Proudly hosted by Sargasso Networks. Current Server Time: 04/18/2019 04:25:52 PM EDT.